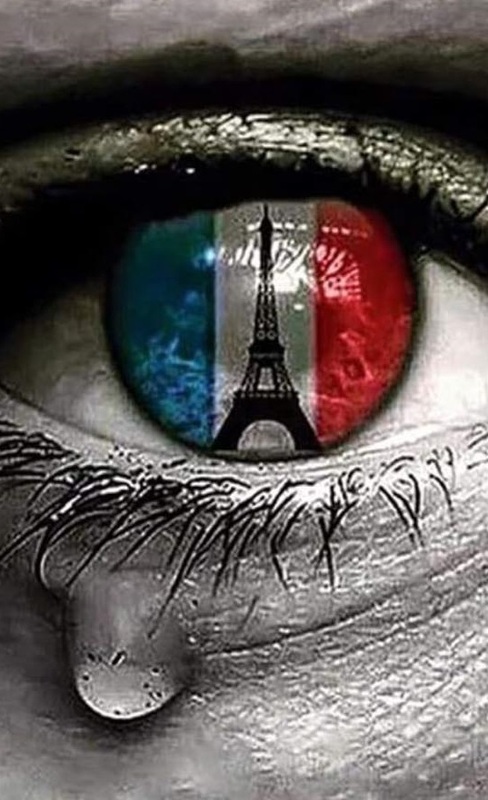 We all have heard about the latest terroristic attacks in Paris, France. Living through 9/11, my heart is breaking for all those affected in France and any Country that has suffered at the hands of terrorists. I don’t understand how some person or groups of people can hate so severe, so intense, and so inhumane as to kill innocent people and attack countries. Hate is a foreign emotion to me. I have always looked at the best in all situations, no matter how severe. My inane mindset can only sit in utter shock and sadness at the latest attacks. I know France will rally as a nation while many other nations, the United States being one, will reach out and give support, love, and comfort. This is twice I have had to witness and experience mass deaths from terrorists and that is two times too many. How has this world degenerated so much that a human life is less important than a cause? How has humanity delved into such a cesspool of hate and selfish mindsets that the wellbeing of others mean nothing? How can people learn to live with love and understanding to ALL human beings in the world and start working together as one? My brain refuses to allow this negative experience to change my hope in humanity. I will not allow terrorism to defeat me, Dear Bloggites! The World will not allow terrorism to defeat it! France will rebuild stronger and more united, just as America came together to rebuild and unite after 9/11. Be Kind to One Another because in the end, we all have to live in this world together.